Hello! On a beautiful fall Sunday I am putting a new system together to keep track of my work tasks. In my August 14 post I talked about enlisting a notebook to help me keep track of work tasks. And it has worked somewhat but not perfectly. I find I have tasks that have many stages to them, if that makes sense, and I need to know what stage each task has achieved. So I found myself thinking of a binder system, like my ARC notebooks or my William Hannah notebook, so that I could organize the pages and move things around as needed. Currently I cannot find my ARC notebooks (still buried in a box somewhere) and my William Hannah notebook is not going out of the house. 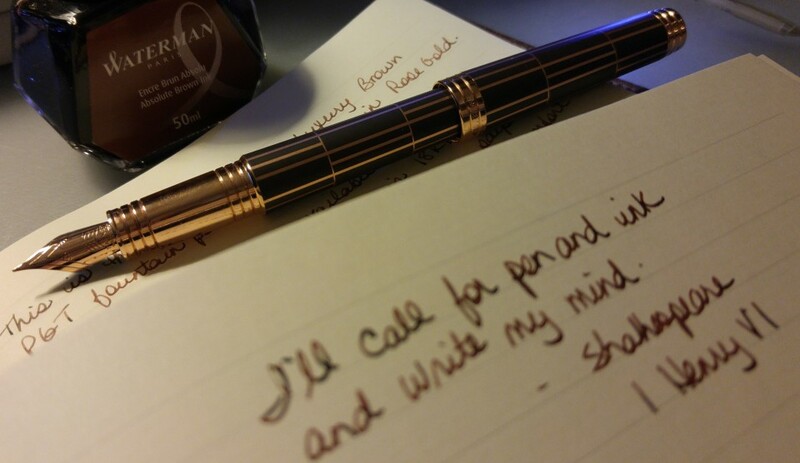 I am obsessed with keeping it pristine and beautiful for my personal journaling. So I resigned myself to the hunt for my ARC notebooks. But before I could find them I came across an Avery Mini Binder in green, with some accessories, that I purchased at WalMart a few weeks ago and forgot about. And I think it will work perfectly!! I had heard about these mini binders first from the Pen Pixie on YouTube but only saw them in real life recently. I can’t remember the exact price I paid but you can find them on Amazon, Staples and WalMart. I bought the green binder; on Staples’ website it is “chartreuse”. It is 1″ thick, with 1″ rings, of which there are 3. It measures 5.5″ x 8.5″. I’ve seen black, white, blue and purple binders on the Staples site. One of the great features of these binders is how flat they lay when open. Very comfortable to write on either side of the paper, despite the rings. Lots of accessories with these binders. I bought, from right, Sheet Protectors, Filler Paper, Insertable Dividers and Binder Pockets. On Amazon there are A-Z dividers and calendar pages available as well. This system could give Filofax a run for their money as a planner system! Speaking of Filofax, these pages do not fit into my current planner, my Finsbury. But I could not check them in my Franklin Covey planner, as it is still packed away. Helpful printing instructions are included with the tabbed dividers. I just wrote on mine but it’s nice that they included these. I think this will work better for my needs, as I can organize my notes and keep my tasks separate. Right now they are all jumbled together. So I will spend the next couple of hours going through my faithful notebook and transferring tasks and notes to this new binder. I must go put the kettle on. Happy planning! I have used these mini binders for years and love them for various things. Just fyi, this seller on Etsy makes simply gorgeous covers for them. Thanks Mel they are gorgeous! I use the same size little binder for my important work stuff that I have to refer to daily. I’m constantly flipping back and forth in it so I loved that they have sheet protectors in that size as my pages get lots of use. Hope it works well for you. My binder is splitting at the seams though, but I’ve had it about 3 years.